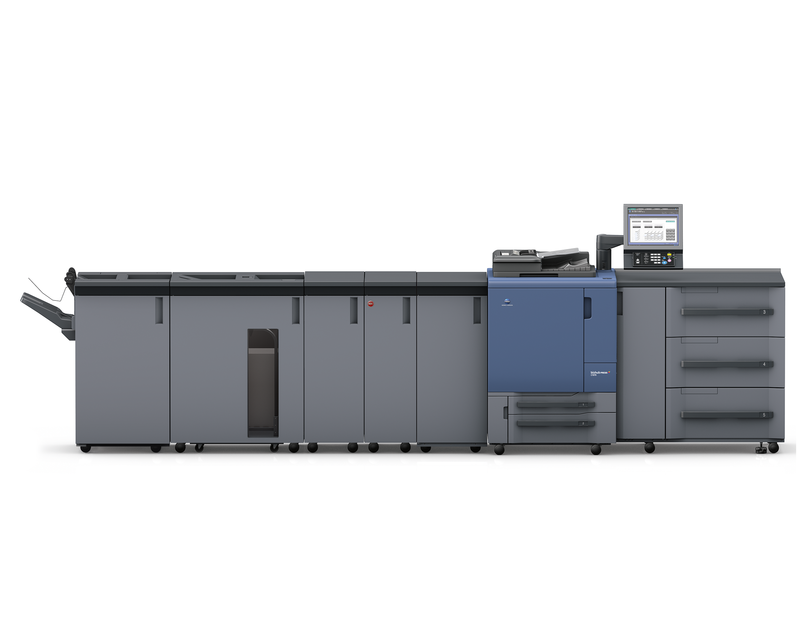 Central reprographic departments and print providers will welcome Konica Minolta's colour digital presses, which combine high-speed colour print production with an extensive range of professional integrated finishing facilities. With its amazing imaging capabilities and absolutely consistent print quality, the Konica Minolta bizhub PRESS C1060 opens up a new era of superb quality colour production. Inimitable modularity provides unmatched versatility and ensures perfect adaptability to the entry production environment. Singular image quality - matchless clarity and precision with 1,200 x 1,200 dpi x 8 bit full colour resolution and Simitri HD E polymerised toner. Konica Minolta's advanced colour processing technologies - SEAD IV imaging, FM screening, stability monitoring and density control for absolute consistency. Leading media & finishing capabilities - sophisticated media management and inimitable finishing versatility, including booklet making, perfect binding and multi (GBC) punching.